Use the form below to inquire about Traditional Homestay In Palakkad . Use the form below to reserve for Traditional Homestay In Palakkad . The Double Room is a well-appointed airy room with two single cots and an en-suite bathroom. The spacious Family Room is a well-equipped living space that has one double cot, one single cot, one swing cot, and an en-suite bathroom. 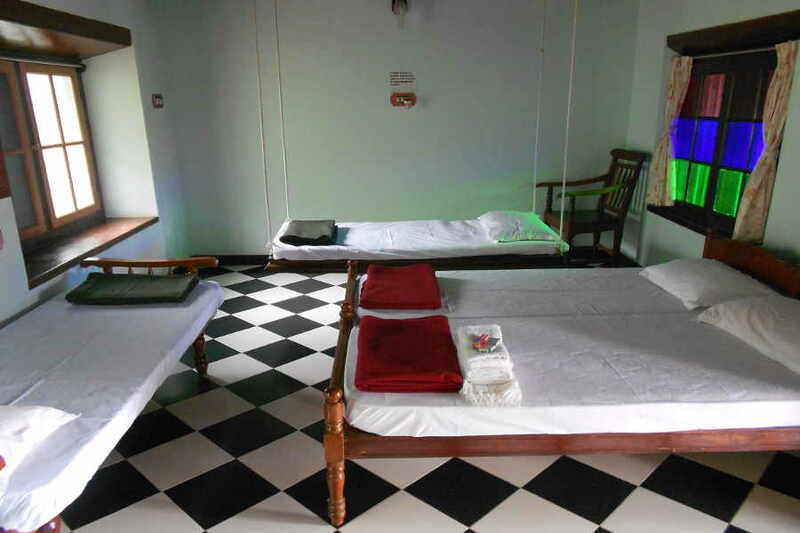 Large Room is a huge room with one double cot, two single cots, an en-suite bathroom, and an exclusive kitchenette. Complete your holistic sojourn in a tranquil location by choosing a classic and centuries-old Traditional Homestay In Palakkad. Set away from the rush and buzz of city life, Palakkad is a magical place where nature meets heritage. As the clear waters of the mountain streams make their way through this region, Palakkad comes alive with its fertile valleys, lofty mountains, and lush forests, and an abundance of flora and fauna. There’s a certain feeling of serenity draping this place, which adds to its enchanting beauty. Located at the foothills of the Western Ghats, Palakkad is as rich in its natural beauty as its historical and cultural heritage. When you are in such an enticing destination, you would definitely want your holiday abode to be no less intriguing, wouldn’t you? Living up to your excitement and delivering far more than your expectation is the Traditional Homestay In Palakkad! 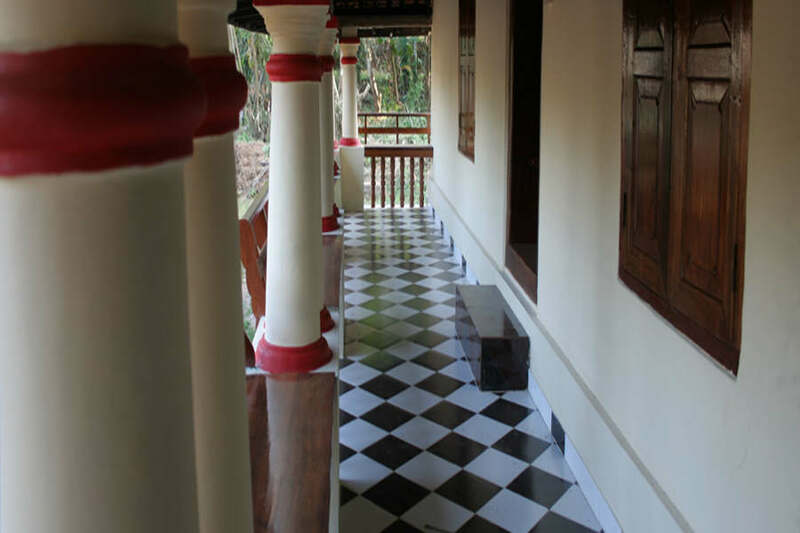 A one-of-its-kind heritage complex, the Traditional Homestay In Palakkad spreads over 20 acres. 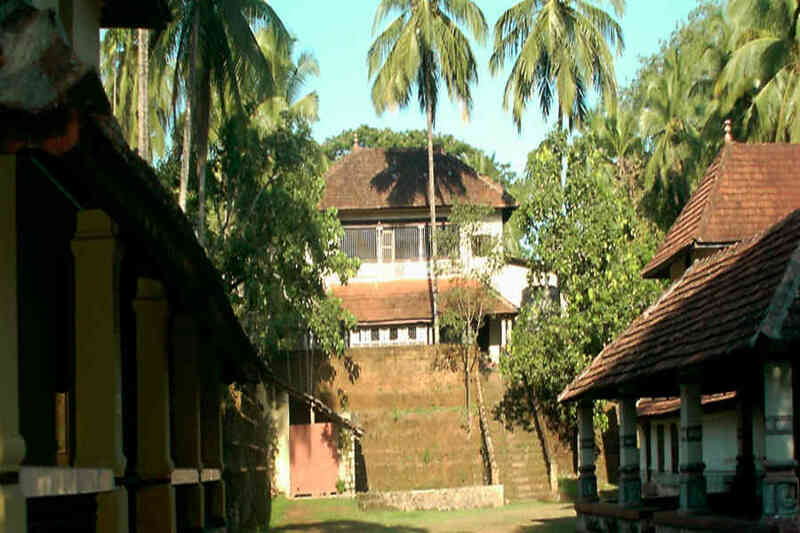 It is an eco-friendly feudal Namboothiri house that boasts of a typical Kerala style architecture. The main building of this 300-year-old house comprises of eight structures with two open quadrangles. There are spacious halls surrounding these quadrangles as well as at the central portion. What makes this heritage home a unique place is its association with art and culture. It is a place that has remained witness to a thriving cultural heritage in the fields of Carnatic music, Kathakali dance form, literature, Rig Veda, and even Melam and Thayampaka (classical percussions). In short, it is a destination where dance, music, and rhythm blend perfectly. 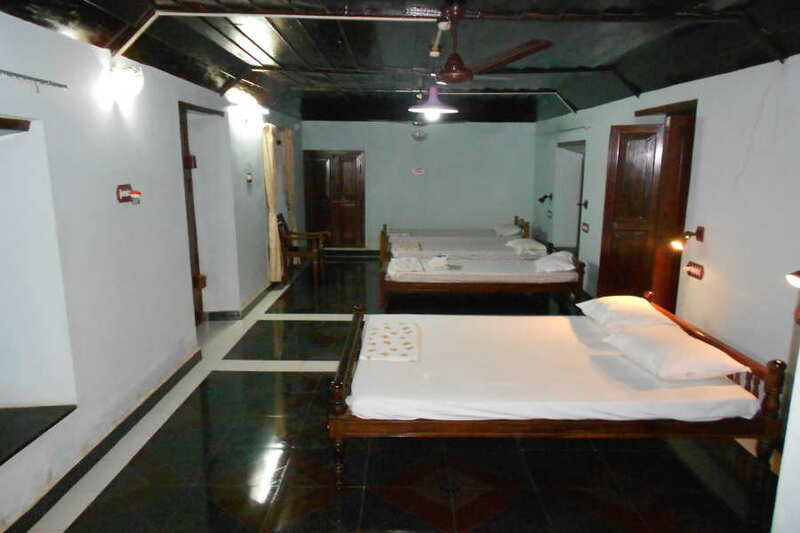 The spacious homestay also has a snake temple and a huge bathing tank. Artefacts like old wet grinders, large bronze lamps, old Chinese porcelain pots, elephant costumes, old utensils, fireproof iron safe, and old balances lend a unique touch to the place. Coming to the gastronomic part, you get to relish homemade pure vegetarian Kerala style food served on banana leaves. Everything about this place has a distinct homely touch, which you won’t find at in a hotel. Accommodation at this homestay is about comfort and relaxation. There are three rooms available for the guests: the Double Room, the Family Room, and the Suite Like Large Room. 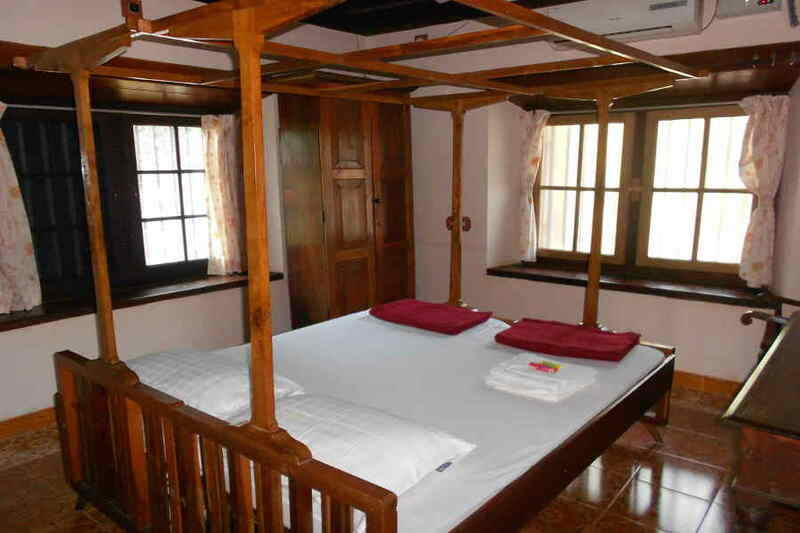 The Double Room is a well-appointed airy room with two single cots. The spacious Family Room is a well-equipped living space that has one double cot, one single cot, and one swing cot. These two rooms share a common kitchenette. As the name indicates, the Suite Like Large Room is a huge room with one double cot, two single cots, and an exclusive kitchenette. All three rooms have attached bathrooms and closets. If you are interested in a homestay that offers you a glimpse into the cultural heritage of Kerala and its performing art forms, you can never find a better place than the Traditional Homestay In Palakkad. There are certain restrictions here to preserve the sanctity of the Family Deity. Footwear is not permitted inside the Main Building (Guests are not staying in this building). Smoking is not permitted in the Main Building. Non-vegetarian food and alcoholic beverages are strictly prohibited in whole Mana premises. In case of a no-show or cancellation of a guaranteed reservation the accommodation property reserves the right to levy retention charges for the entire stay. If you are a nature lover, this is a place where you can enjoy the natural delights in abundance. You can take a walk along the banks of the River Kunthi that flows at a short distance from the property. Descending from a height of 2000 meters from the Nilgiri Hills, the perennial wild river flows through the valley before making its way to the deep jungle and the plains beyond. 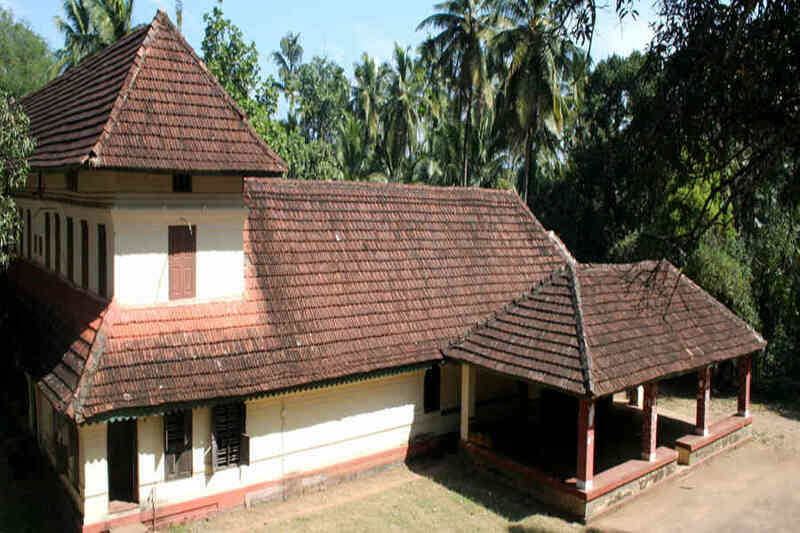 Want to enjoy the rich cultural heritage of God’s Own Country? A drive of just one hour from the property will take you to the Kerala Kalamandalam, a premier Center of excellence in Indian Performing Arts and a milestone in the cultural history of Kerala. Those who want to indulge in sightseeing can take a trip to Silent Valley National Park, Malampuzha Dam, Nelliampathy, and Kanjirapuzha Dam. Depending on the time of your visit, you can be a part of the various festivals being celebrated in and around the places near the homestay, which can be unique experiences in themselves. You can also enjoy Kalam Ezhithi Pattu, a rare unique ritual. To reach the homestay, the closest airport is the Calicut International Airport (60 km) followed by Coimbatore International Airport (110 km). The International Airport in Bangalore is located at a distance of about 485km from the property. The Palakkad Junction (38 km) is the nearest one from the homestay. The railway stations at Coimbatore (92 km), Mysore (219.3 km), and Bangalore (455.4 km) are among the other major railheads to reach the homestay. The property can be accessed via road from various cities and towns, including Thissur (55 km), Calicut (90 km), Coimbatore (97 km), Kochi (139 km), and Bangalore (453 km).